Wedding is the time when budget goes out of the window. Very few follow a proper budget while shopping for the weddings and as a result expenses skyrocket. And the worst thing is that you realize it’s impact only after the celebrations are over. But, it is always wise to put out the fire before it spreads. After all the fun and revelry, such stressful situations are terribly upsetting. Who likes being in debt? Few dollars of savings here and there would only help you in the future. Saving on your wedding trousseau isn’t as tough or impossible a task to achieve. There are quite a few ways in which you can save large amounts on all kinds of wedding apparel, be it the beautiful sarees, lehengas, anarkalis or shararas. Take the unconventional route – Taking the unconventional route is an exciting way to dress up for your wedding. Rather than going for the trending styles, choose some different design or style. This can take time, because finding the right design may not always be easy. But, let me tell you there’s no doubt that it’s going to be an incredible journey. For example, you can choose an anarkali or a sharara for the reception, which can help you cut down the cost by almost half. Know more about fabrics and designs – Start much before your wedding so that you have enough time to learn about fabrics and designs. For example, zari works cost you more than gota embroidery. Then, self designed or self textured fabrics are a great alternative to getting the embroidery done on your lehenga. Brocade and jacquards are your best bets to cut down the cost on embroidery. These fabrics look rich and beautiful, while being light on your pocket. Research before finalizing – Research a lot before finalizing a piece. That is because, you can get really beautiful designer pieces at local stores in and around cities known for designer numbers. Having your wedding lehenga designed by Sabyasachi is definitely exciting, but you can work with local shops and tailors to get your own wedding trousseau designed for even less than half of what a Ritu Kumar or Sabyasachi ensemble would cost. 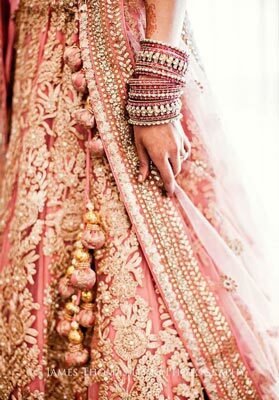 Moreover, very few people wear their wedding lehenga more than once. Use coupons while shopping – Using coupons while shopping for your wedding is the best way to save the hard earned money. Be it online or offline, you can use coupons to save big time on your wedding apparel. There are lots of sites that offer coupons and offers on sarees, lehengas, anarkalis and more. 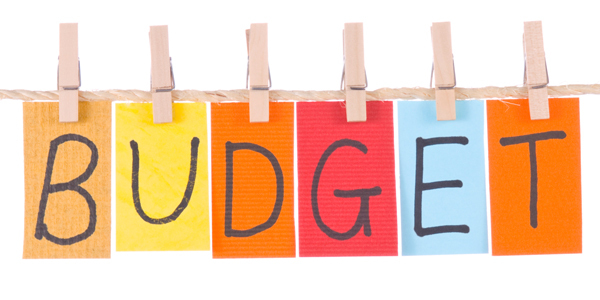 Follow a budget – The most important aspect of any shopping is following a budget and trying to remain within that. This would definitely prove to be helpful and lighter for your pocket. Going on to shop without a plan at hand is not a wise decision. You can also get bridal wear on rent. It is slowly becoming a trend to get wedding dresses on rent. 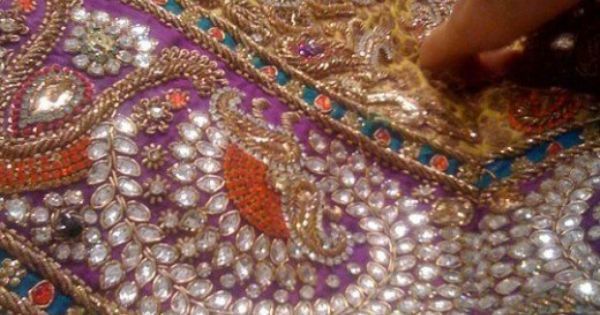 So, here’s how you can avoid spending too much on bridal wear. If you see, none of these tips require you to compromise on your likes or style. These are some simple tricks that come in handy because it is not only your wedding trousseau that needs to be bought. You may have to buy additional pieces for gifting purpose as well. Superb Ideas. Need to be followed up. Nice post. Surely follow your tips. And I purchased all my dress from Myntra.